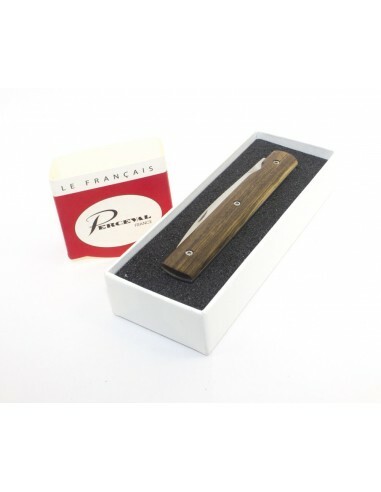 Reference: Navaja Perceval "Le français"
Perceval folding knife with Pistachio wood scales. 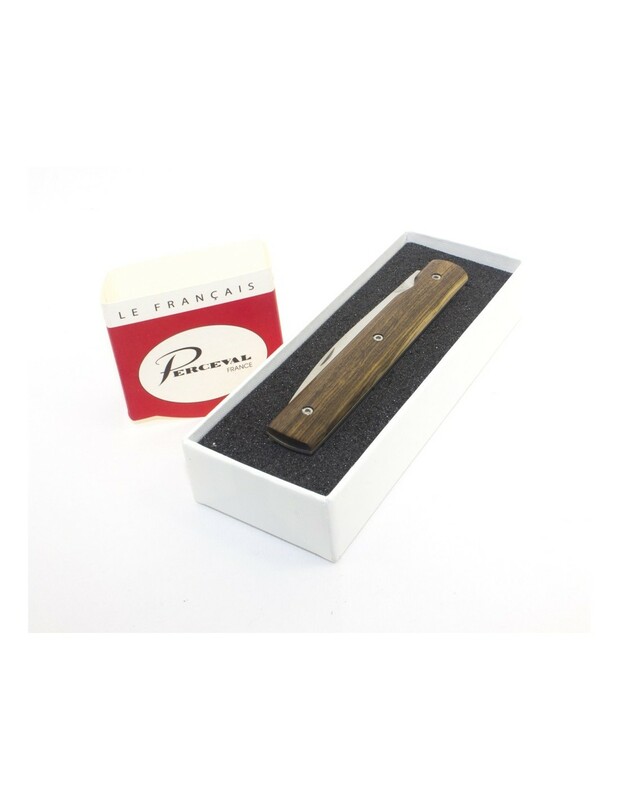 French folding knife "Le Français" by Cutlery Perceval, blade of Sandvick 12C27 stainless steel, 2,5mm thickness, matt polished, marked with the manufacturer "Perceval" on the heel of the blade, plates of stainless steel and a highly accurate linerlock system. 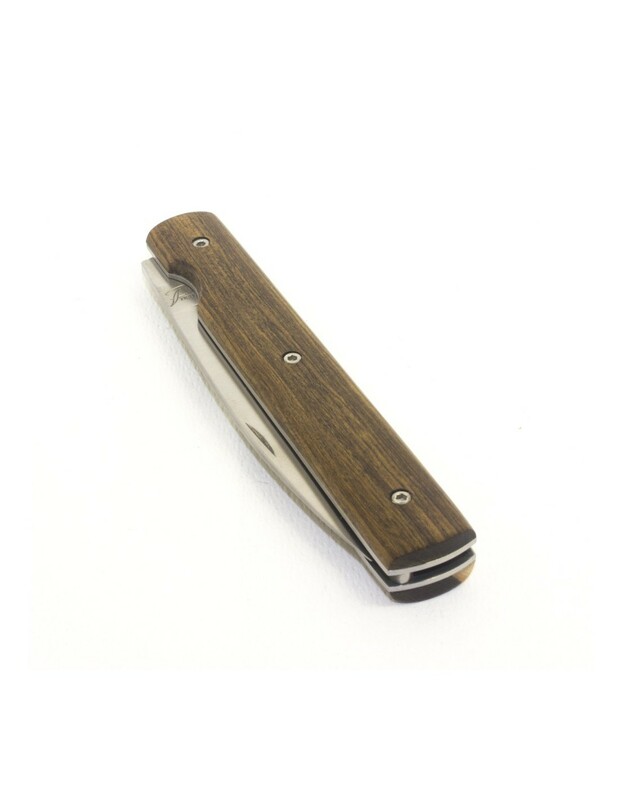 Scales of Pistachio wood fixed with screws type torx. 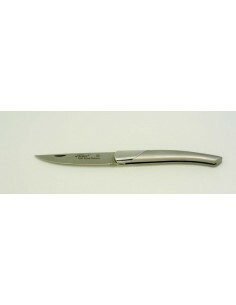 This cutlery was founded by Eric Perceval and Emmanuel Chavassieux located in Thiers (France), the wellknown and called, "The Ville de la Coutellerie in France". 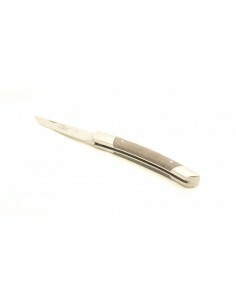 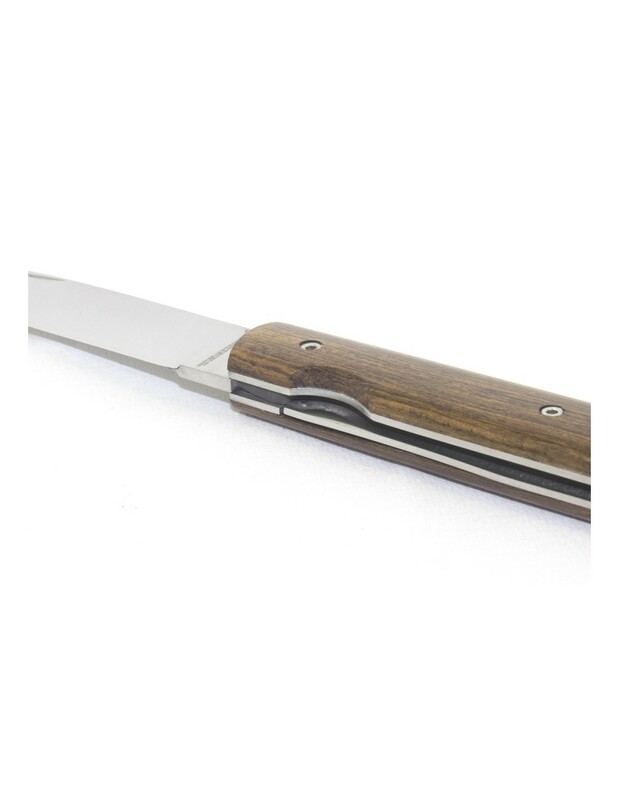 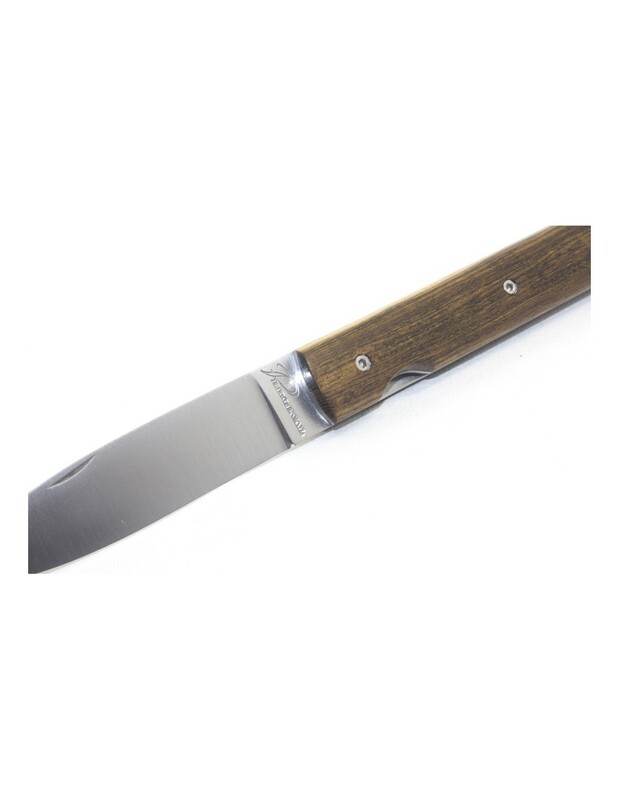 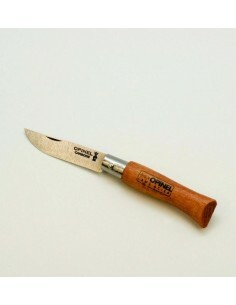 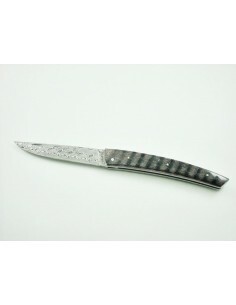 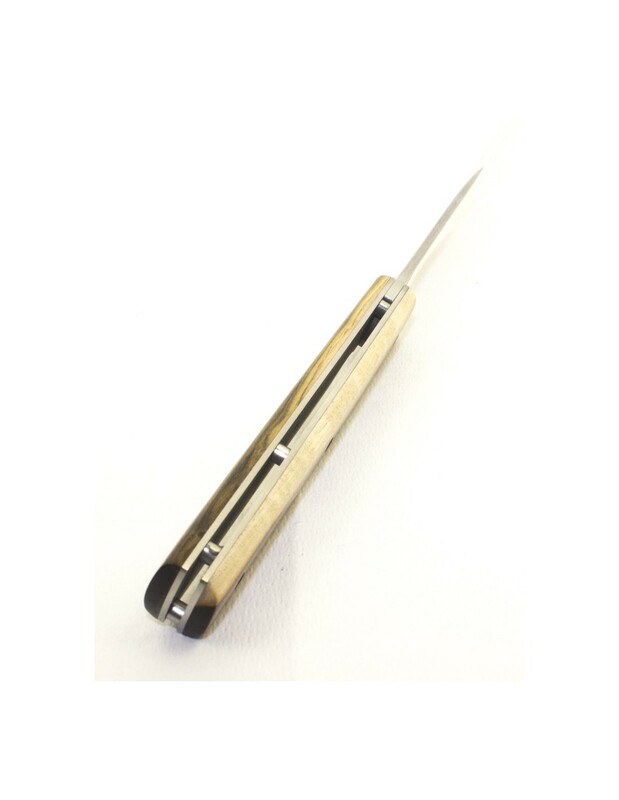 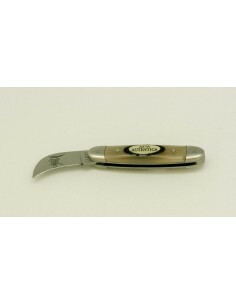 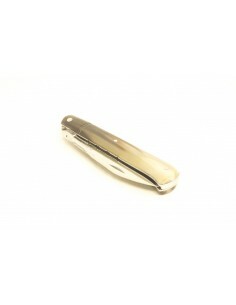 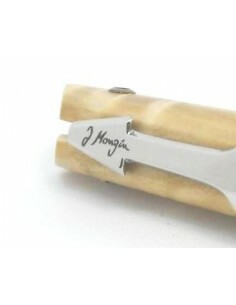 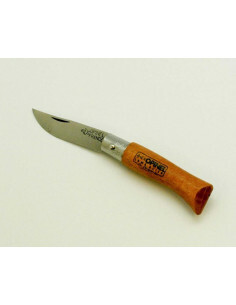 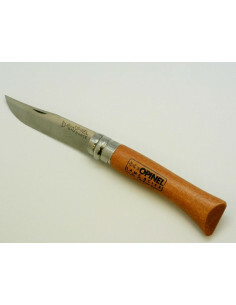 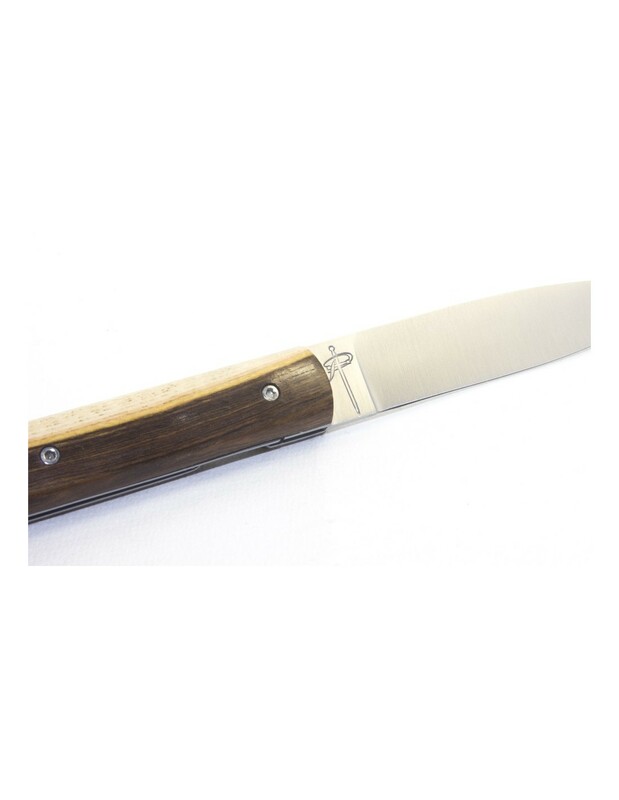 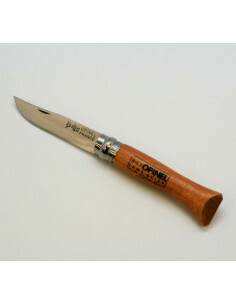 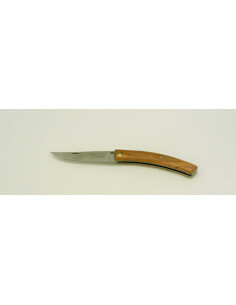 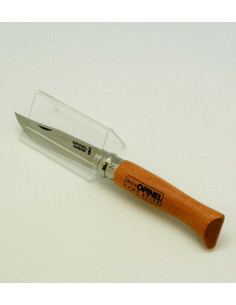 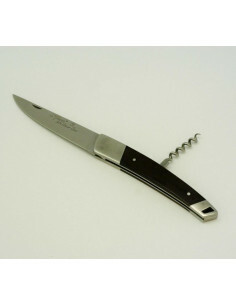 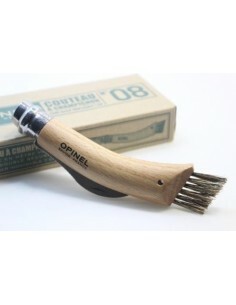 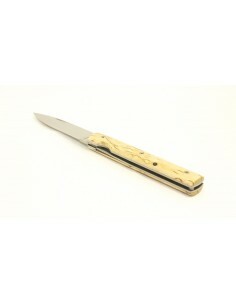 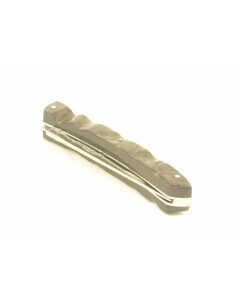 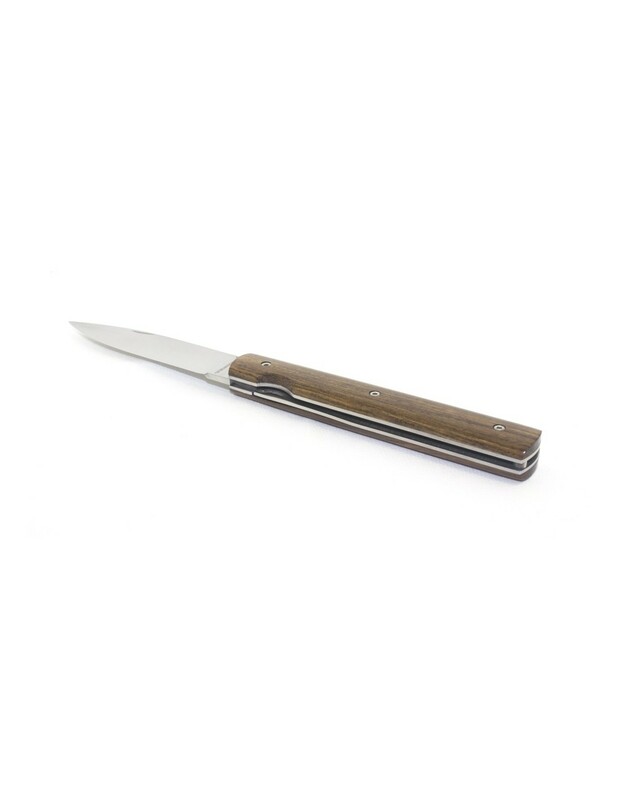 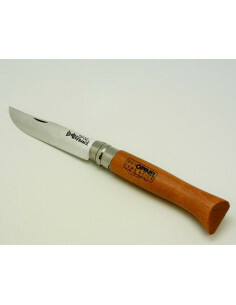 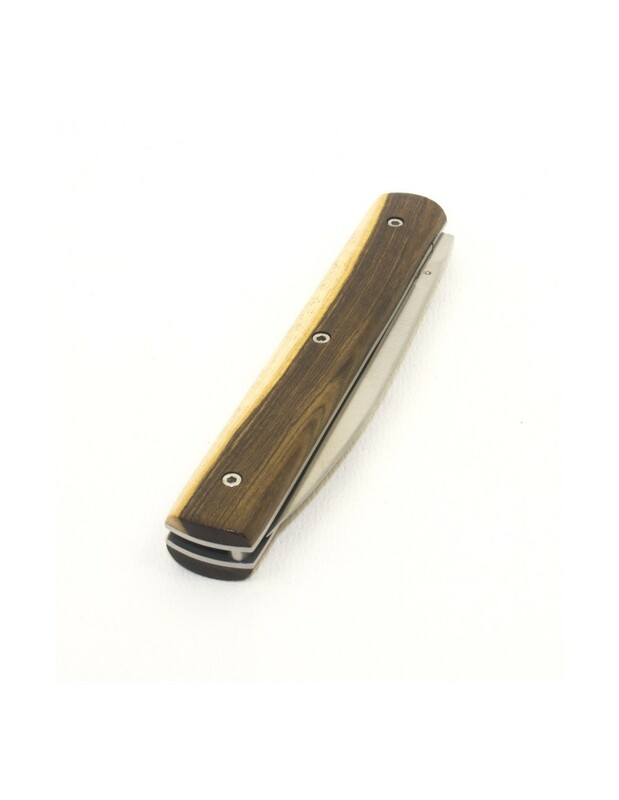 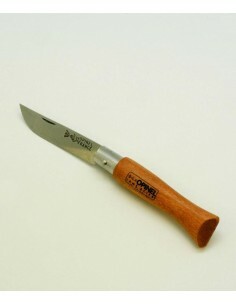 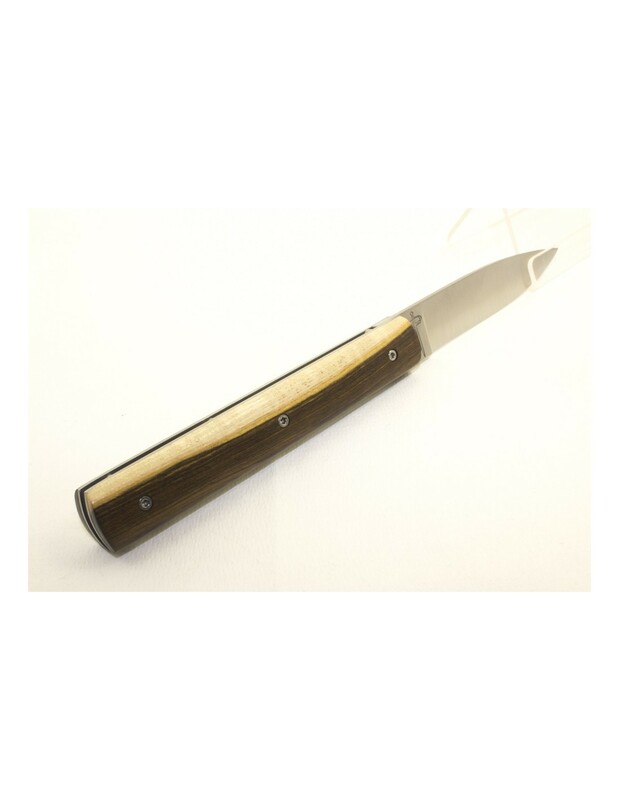 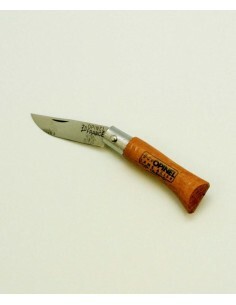 This knife has an inner lock plate, and is assembled on bronze washers, assembly, finishing and sharpening are handmade. 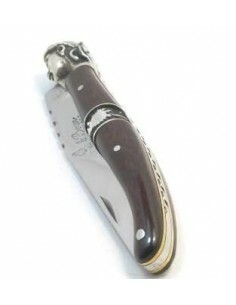 Folding knife of awesome accuracy and beauty.